Traditional fence . . . without the traditional maintenance. Nebraska Plastics, Inc. ("Nebraska Plastics") warrants all PVC products it manufactures to be free from defective raw materials and manufacturing defects for the consumer purchaser's choice of a) 50 years or b) limited lifetime. If no selection is made, the Limited Lifetime Warranty shall apply. As a result, the warranted products will not peel, flake, rust, blister or corrode. Furthermore, Nebraska Plastics warrants that its PVC products will not require the painting and traditional maintenance normally associated with similar products manufactured from raw materials other than PVC, nor will the PVC products manufactured by Nebraska Plastics exhibit abnormal weathering, discoloration and brittleness or be damaged by insects. Only Polyvinyl Chloride (PVC) products manufactured and sold by Nebraska Plastics are covered by this 50-year/Limited Lifetime warranty if the original consumer purchaser registers this warranty with Nebraska Plastics within 30 days after the original date of purchase. Products sold by Nebraska Plastics but not manufactured of PVC are not covered by this warranty. For residential uses or applications, the warranty shall be fully effective without proration for the term chosen by the consumer (see above) from the original date of purchase or until the first consumer purchaser who purchases the warranted products for approved residential uses or applications sells his/her property without effecting a properly executed warranty transfer or until the warranted products are moved from their original location and/or altered from their approved design or intended use. No combination of events will extend the warranty beyond the warranty period chosen. In the event the first consumer purchaser who purchases the warranted products for approved residential uses or applications dies prior to the expiration of this warranty as detailed above, this warranty shall cease as of such date. For commercial uses or applications, the warranty shall be effective without proration for 20 years from the original date of purchase or until the first commercial purchaser who purchases the warranted products for approved commercial uses or applications sells the property or until the warranted products are moved from their original location and/or altered from their approved design or intended use. Warranties on commercial purchases are not transferable. The warranty to be transferred was properly registered with Nebraska Plastics within 30 days after the original date of purchase. The request for transfer is made within ten years of the original date of purchase. The warranted products have not been moved from the original location and/or altered from approved design or intended use, or modified in any manner that compromises the product's original integrity. Nebraska Plastics receives a written request for transfer within 30 days of the real estate transfer. Nebraska Plastics receives proof of the original purchase and receives a copy of the original warranty that was signed by the Nebraska Plastics authorized independent dealer/installer (Authorized Independent Dealer/Installer) establishing that the installation is 100% Nebraska Plastics vinyl products. Nebraska Plastics, Inc. receives a $25 processing fee paid in full prior to the transfer. Warranties on commercial purchases are not transferable. NOTICE: A TRANSFER OF THE WARRANTY WILL NOT EXTEND THE OVERALL WARRANTY PERIOD BEYOND THE ORIGINAL WARRANTY TIME FRAME. How will Nebraska Plastics respond to valid warranty claims? Nebraska Plastics will furnish the registered owner of record with materials that are not defective and cover the cost of reasonable labor charges necessary to install the replacement materials. How does the owner of record obtain warranty replacement materials? 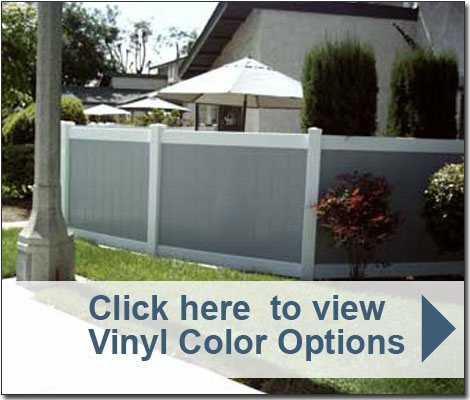 Contact the Authorized Independent Dealer/Installer who sold and or/installed the Nebraska Plastics vinyl products or write to Nebraska Plastics, Inc., P.O. Box 45, Cozad, Nebraska 69130 or call Nebraska Plastics at 1-800-445-2887. Compensation other than being furnished replacement materials and reasonable labor charges necessary to remedy the defects. Compensation for defective fabrication and/or installation work not performed to Nebraska Plastics specifications.. The installer used by the purchaser is responsible for warranting his/her installation work. Compensation relating to projects where PVC materials manufactured by companies other than Nebraska Plastics, Inc. have been combined with PVC materials manufactured by Nebraska Plastics. Compensation for removing materials and/or mildew applied and/or accumulated on the products after the products were manufactured. Compensation for the replacement or removal of hardware or other non-PVC items. Compensation for an insurable loss. Nebraska Plastics shall not be liable for, and this warranty does not apply to, any failure, defect or damage resulting from or connected with the following: a) misuse, neglect or improper storage; b) improper application or application not in strict adherence to written instructions approved by Nebraska Plastics; c) impact of foreign objects or animals, fire, hurricane, tornado or other violent storm or casualty or acts of God. Note: Like other fencing materials, Nebraska plastics fencing materials cannot be expected to contain a horse or other large animal that wants to break the fence enclosing it, and therefore Nebraska Plastics makes no representations about and does not warrant against such an occurrence. Compensation for warranted products that have been combined or incorporated into structures other than those manufactured by Nebraska Plastics or that have been altered by the addition of paints and/or chemicals not recommended for use with PVC. Movement, distortion, collapse or settling of the ground or structure on which the warranted product is installed. Compensation for discoloration or other damage to warranted products caused by air pollution (including but not limited to metal oxides or metallic particles), exposure to harmful chemicals or normal weathering from the elements. Compensation for normal and expected weathering (as defined above) of warranted products. Nebraska Plastics shall have sole discretion to determine, based on reasonable criteria, whether the warranted products exhibit abnormal weathering. If the warranted products weather to a degree determined by Nebraska Plastics to be beyond normal, Nebraska Plastics will, at its option, provide replacement material as it deems appropriate. Nebraska Plastics also reserves the right to refund the amount paid by the original purchaser for the warranted products. Nebraska Plastics retains the right to discontinue or modify any of its products, including the color, without notice to its customers. Nebraska Plastics shall not be liable in the event the replacement material varies in color or gloss in comparison to the original product as a result of normal weathering. If Nebraska Plastics replaces any material under this warranty, it may substitute products designated by Nebraska Plastics to be of comparable quality or price range in the event the product initially installed has been discontinued or modified. How do you preserve your rights as a purchaser of Nebraska Plastics PVC Products? On completion of your project using Nebraska Plastics PVC products, the Authorized Independent Dealer/Installer should provide an official copy of the warranty that includes a registration card that must be signed by the Authorized Independent Dealer/Installer and that card must be returned to Nebraska Plastics. If the Authorized Independent Dealer/Installer does not provide a copy of the warranty to you, call 1-800-445-2887. "The Original Vinyl Fence Company"
Country Estate Fence has completed the fencing project throughout the Montecido at Portola Hills Association located in Lake Forest consisting of 300 units. Country Estate Fence replaced the pool fence, the lot fence and the perimeter fence at 2,717 LF. Country Estate Fence has worked with the Montecido community for the past 5 years and is pleased with the work that was performed . . .